We offer a range of specialist services at our exclusive pet grooming salon. For dapper dogs, we begin with a bath and dry, to freshen the fur and remove any dirt or debris. You can then choose from a range of clipping services, to shorten the coat and avoid moulting hairs and matting. Finally, we’ll trim any overgrown claws and carefully remove any fur which may be getting into your dog’s eyes. Our expert staff are highly trained to provide the ultimate grooming experience for your pet. They understand that each pet has different needs, so they take an individual approach to every pet that they groom. 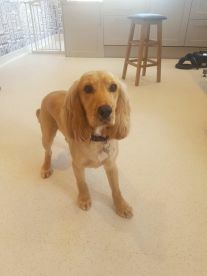 They’ll take cues from your pet throughout the grooming process, and will adapt the service to suit them, removing any elements which could cause distress. 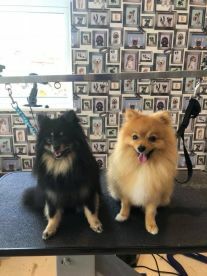 They’ll also work with you to understand your desired grooming service, and will work to meet your requirements and leave both you and your pet satisfied with the results. Pamper your pet at our specialist spa, Central Bark! We have many years experience in pet grooming, and will ensure that your pet is in capable and caring hands. Our groomers are highly trained to deliver an outstanding grooming service, leaving your pet primped, preened and totally relaxed. 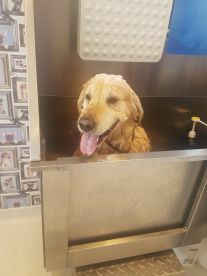 We offer a range of grooming choices including bathing and drying, body and claw clipping, and pet styling. Give us a call to arrange an appointment or simply pop into our stylish salon. First time there today, very welcoming staff and a top quality service! If they can cope with my 50kg GSD Puppy, literally anyone can go 10/10! 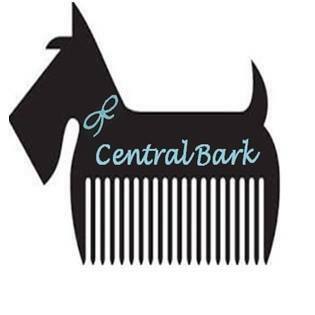 So happy we gave Central Bark a try. Buddy’s cut is perfect. He looks fantastic, so fluffy and smells delicious! Highly recommended. We’ll be back. So pleased with the service here. Our springer is usually so nervous with grooming but he looked happy and calm when we collected him. The girls were so lovely, we will definitely be back. Thank you! Please note that Central Bark may not be able to honour booking requests made.